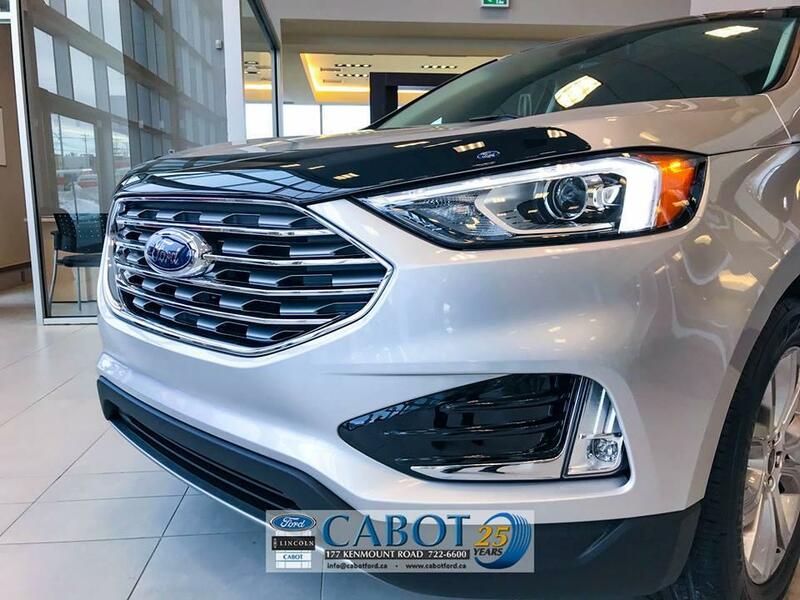 Have you been longing to drive your SUVs comfortably around the smaller streets of downtown St. John's while at the same time, having the reliability to take longer drives with your SUV to Bay Roberts and all points beyond? 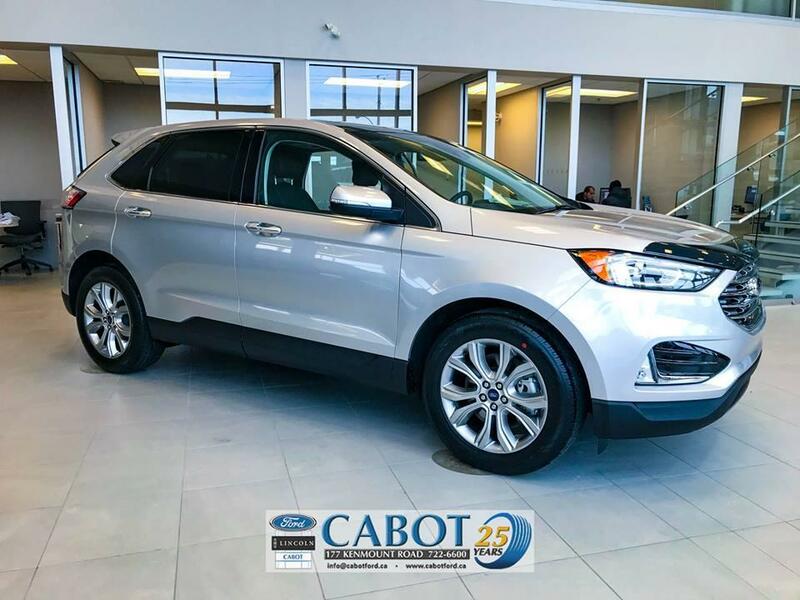 It doesn't get as much attention as the Ford Escape, but the Ford Edge will win your heart with its sophisticated yet functional design! 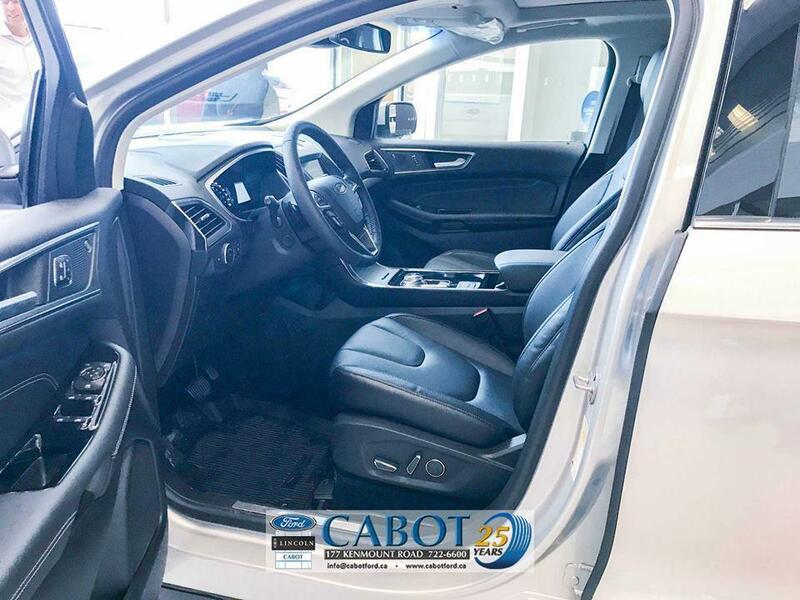 If you need an SUV that fits the whole family, camping gear, sports equipment or whatever else life throws your way, the 2019 Ford Edge will astound you with its ability to meet all your transportation needs. 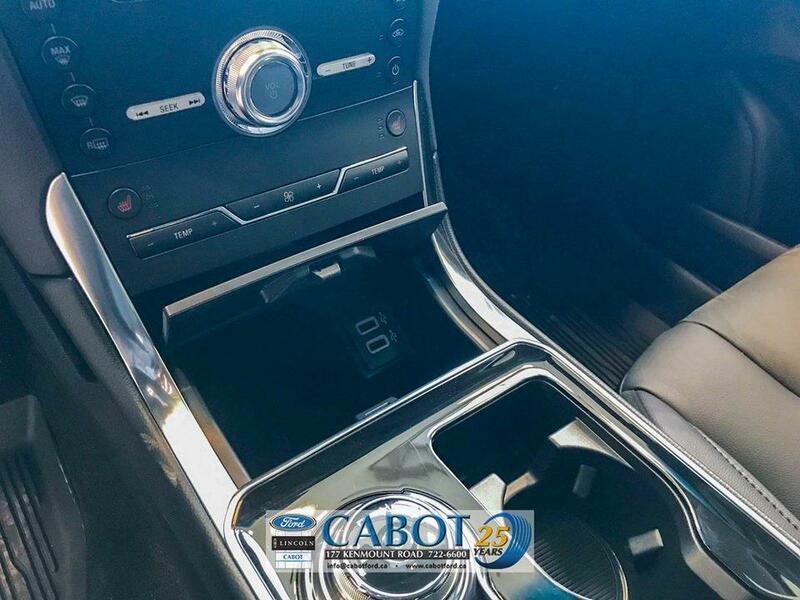 With its incredibly comfortable and stylish leather interior, accent lighting and flashy finishing exterior details... the closer you look, the better it gets! 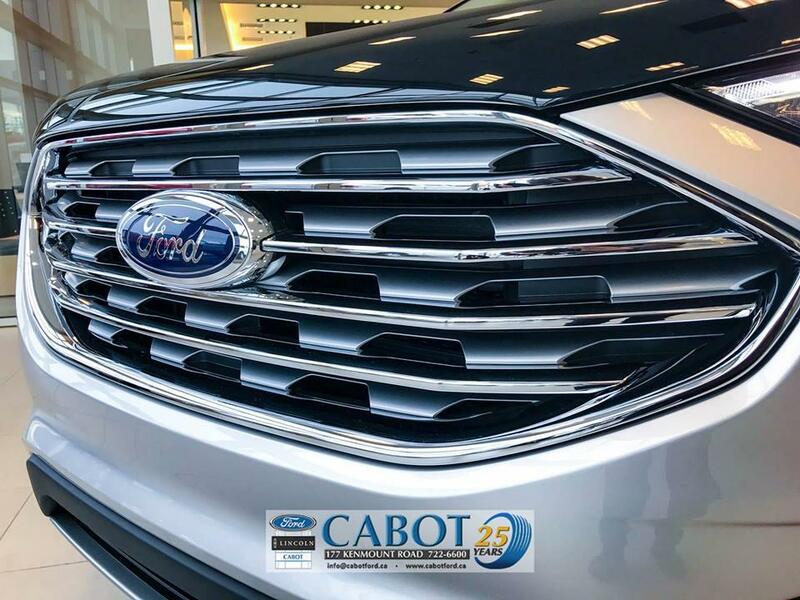 To test-drive one of our Ford Edge SUVs in St.John's, drop by your authorized Ford dealership at 177 Kenmount Road! 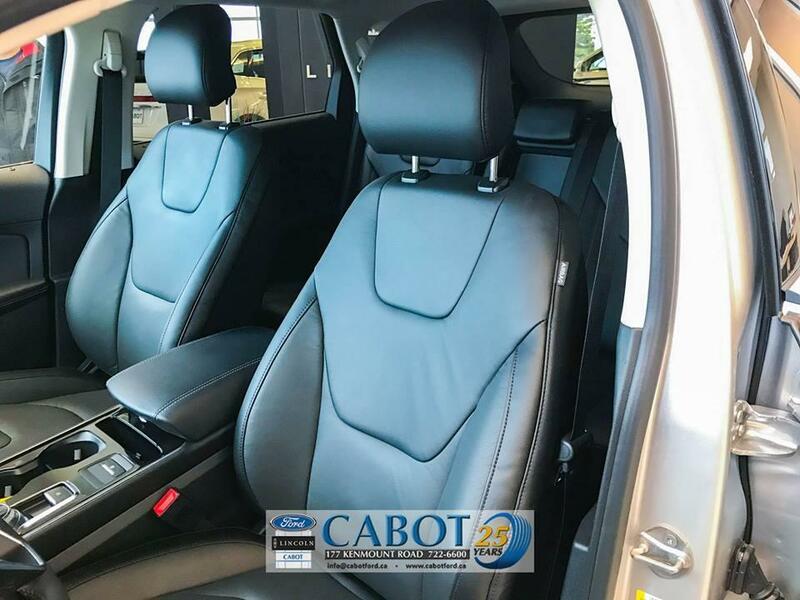 The photos below are of the 2019 Ford Edge SE, which is one of five models to choose from within the Ford Edge series. Sleek in look, strong in performance! 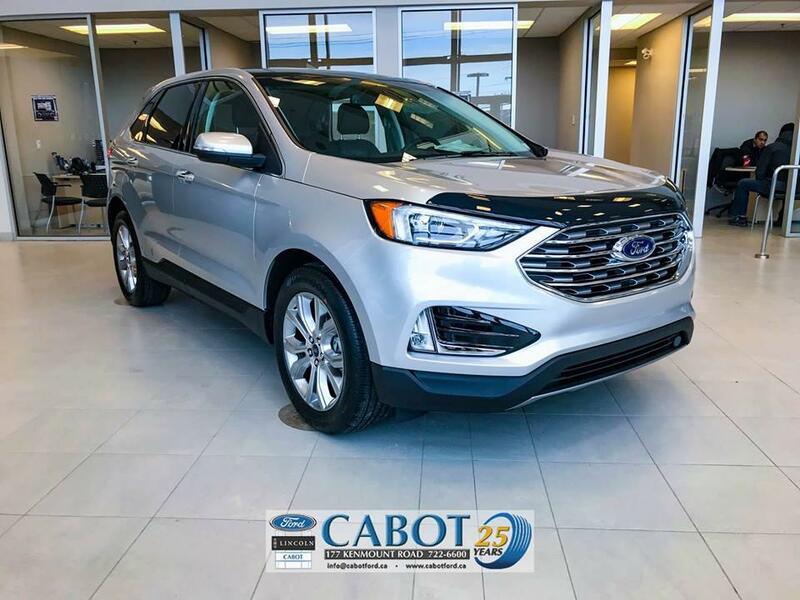 Whether you are looking to combat stormiest days in style or take a last minute excursion around the Southern Shore, you'll comfortably go much further with one of our 2019 Ford Edge SUVs in NL. see the road ahead of you, even on the brightest of sunny days! Meanwhile, the other vehicle windows are sporting privacy-tinted glass. Do you find visibility to be a challenge in the night-time? 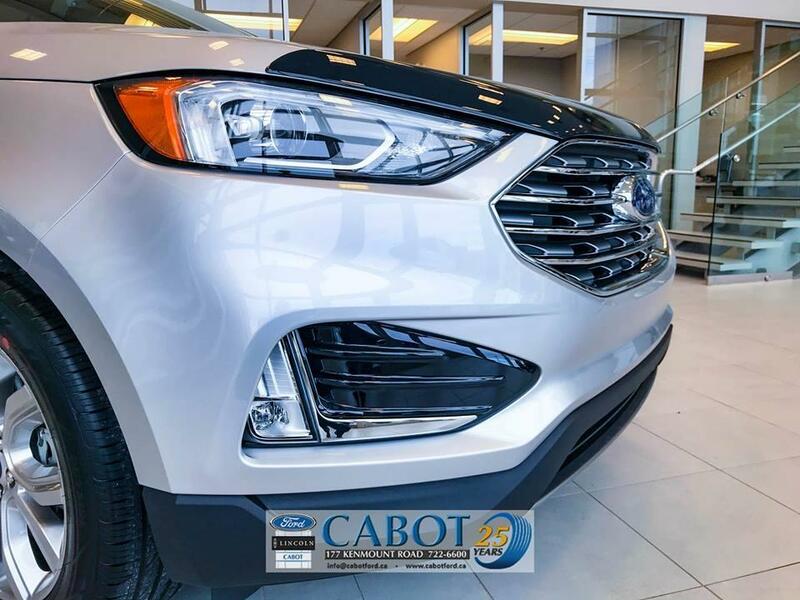 Newly treated headlights come with an automatic dim and brighten feature, for safer night-time driving visibility as you drive your new SUV in St. John's. 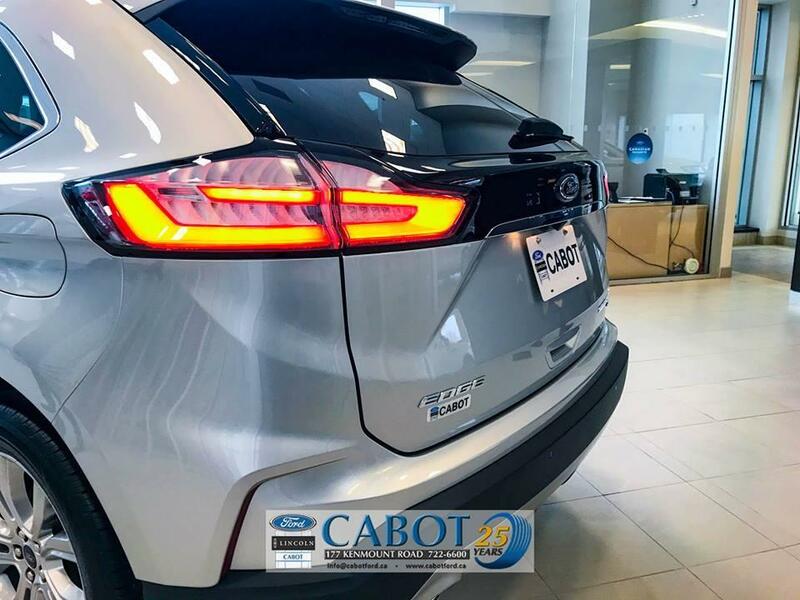 The curved-front of the 2019 Ford Edge allows for the sun to hit all the right places, turning heads as your drive off of our lot and down Kenmount Road! 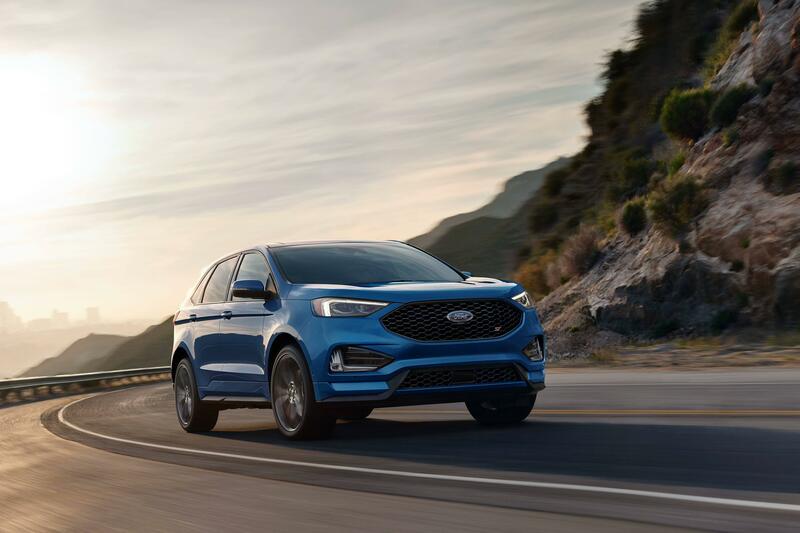 The 2019 Ford Edge's stunning new grille gives the SUV an added touch of class. It also comes with a stylish rear spoiler and door handles, matching the colour of the vehicle itself. 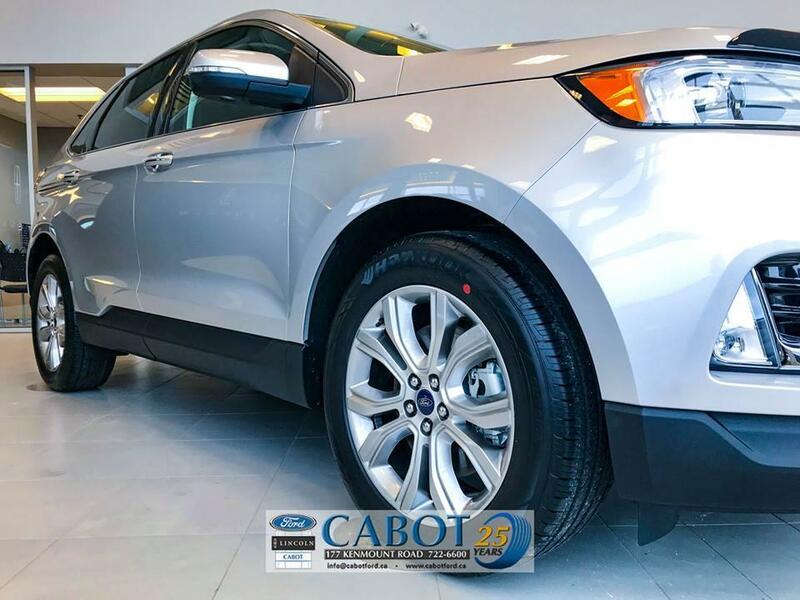 With 18" aluminum painted wheels and traction control features, you and your family will be safe and comfortable as you drive through NL's unpredictable road conditions! With the rear-view camera, you can feel an extra bit of confidence when you're backing into parking spaces! 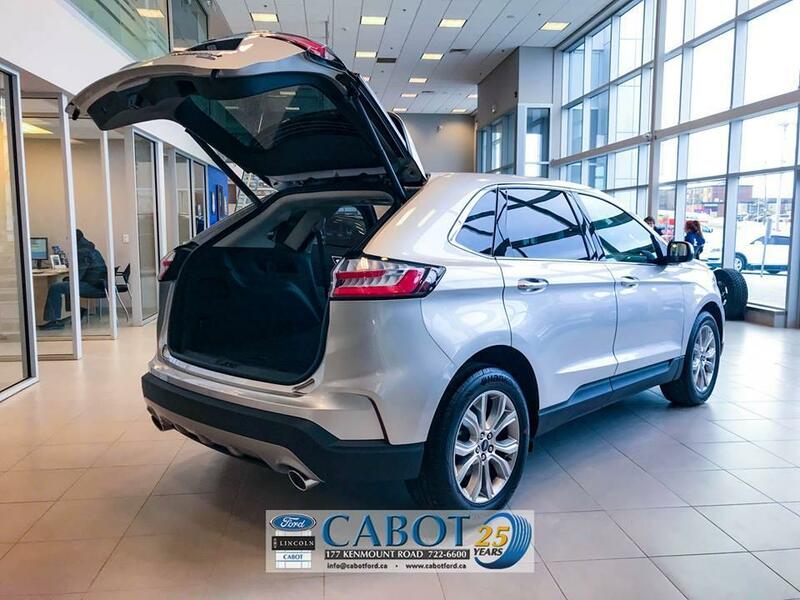 While it's hard to take your eyes off of the spacious trunk, don't forget to take a look at the dual bright exhaust tips underneath, which adds a sporty flair to the bottom rear portion of the SUV. 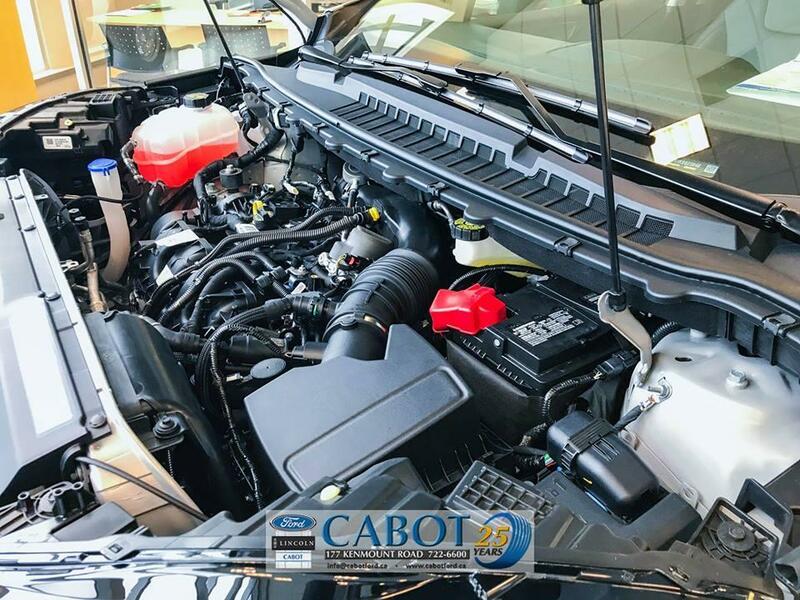 The 2.0L EcoBoost engine and new 8-speed auto transmission gives you plenty of power and heavenly handling, while continuing to be a fuel efficient SUV! 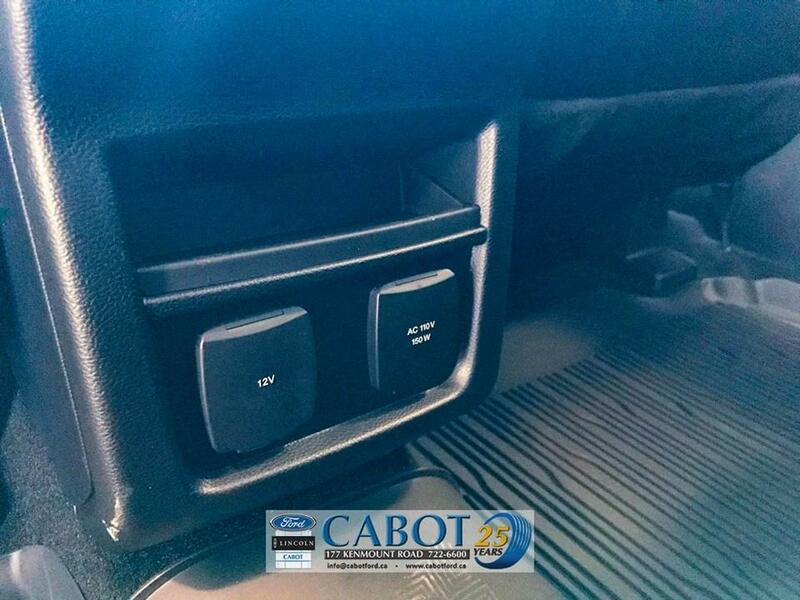 Ford's Curve Control can sense if you are driving too fast around turns, so it will move traction control primarily to your outside tires and slow your speed down. 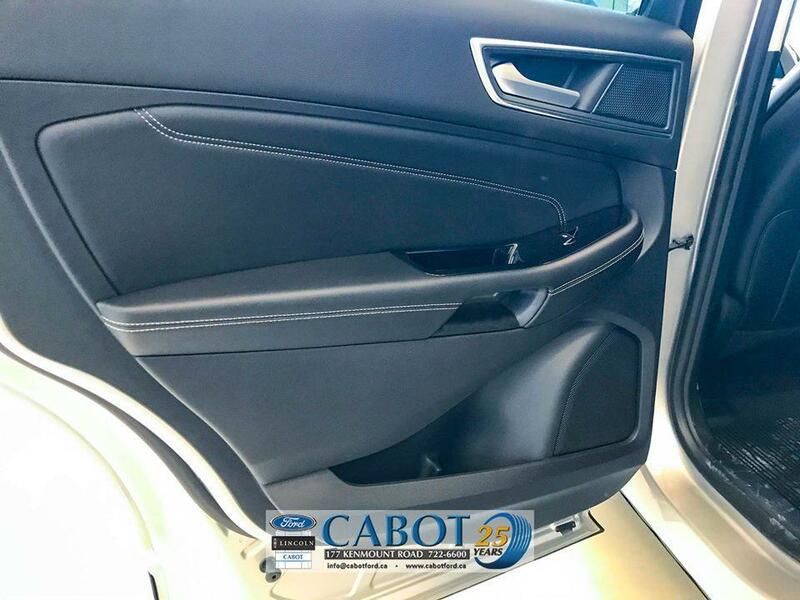 Keyless entry on the driver-side door creates quick and easy access, especially for those times that you have your hands full! 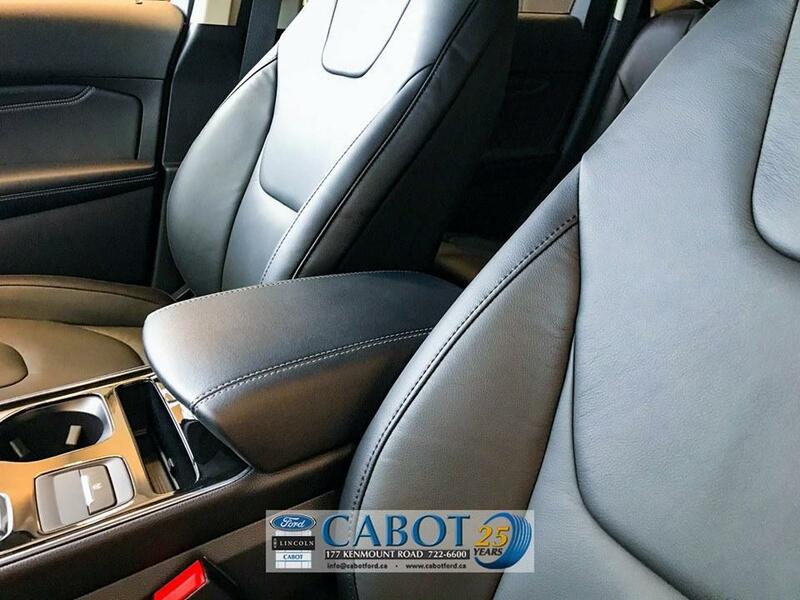 The interior design of the 2019 Ford Edge SE is as impressive as the outside. A close-up of the inside driver's door. Look at the detail! 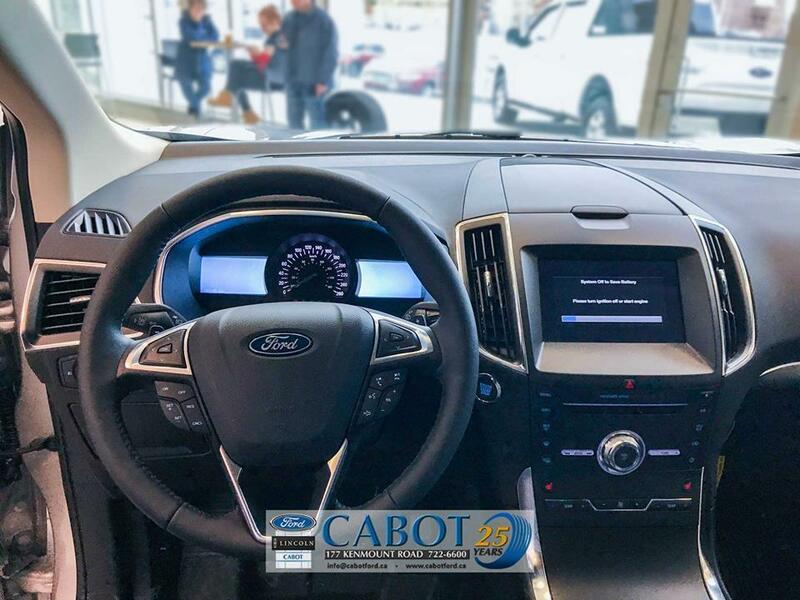 With a keyless ignition starter and user-friendly touch screens, changing the internal controls in your SUV has never been so easy while you drive around St. John's! 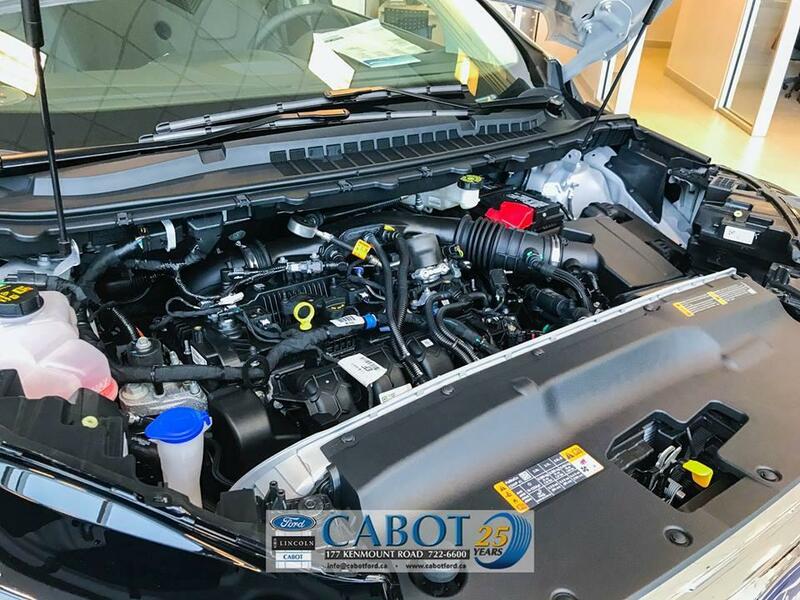 Ford put a lot of thought into ensuring the Edge has top-of-the-line safety features. 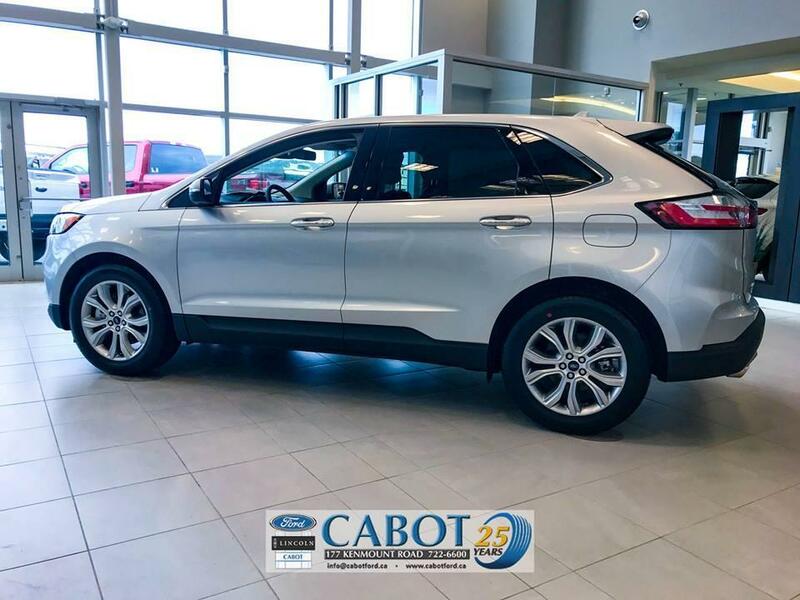 The Ford Edge SE measures individual tire pressure and uses its blind spot and lane keeping feature to warn you when your vehicle is driving too close to something on the road. With dual-zone temperature control, you and your front seat passenger can set different temperatures for individual comfort levels. 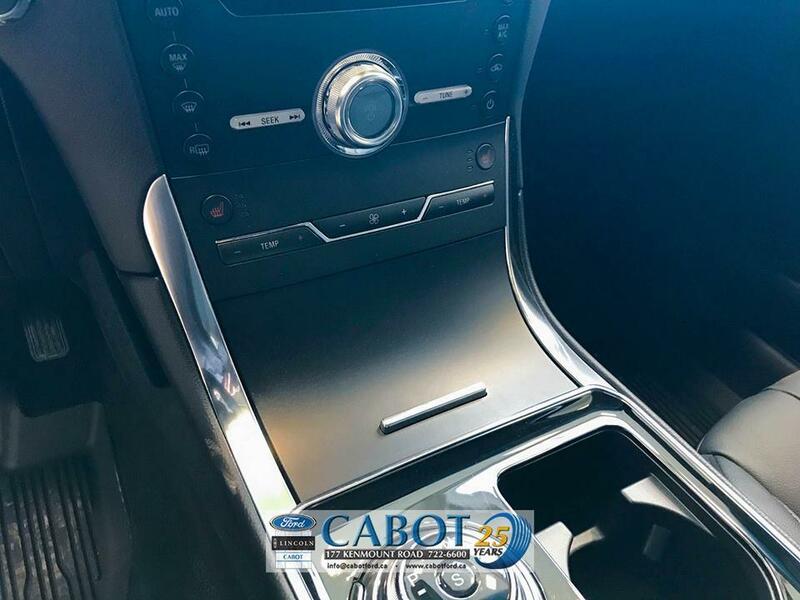 With two USB charging ports in the front storage compartment, you can extend your road trip past the Avalon Peninsula and not have to worry about your phone battery. 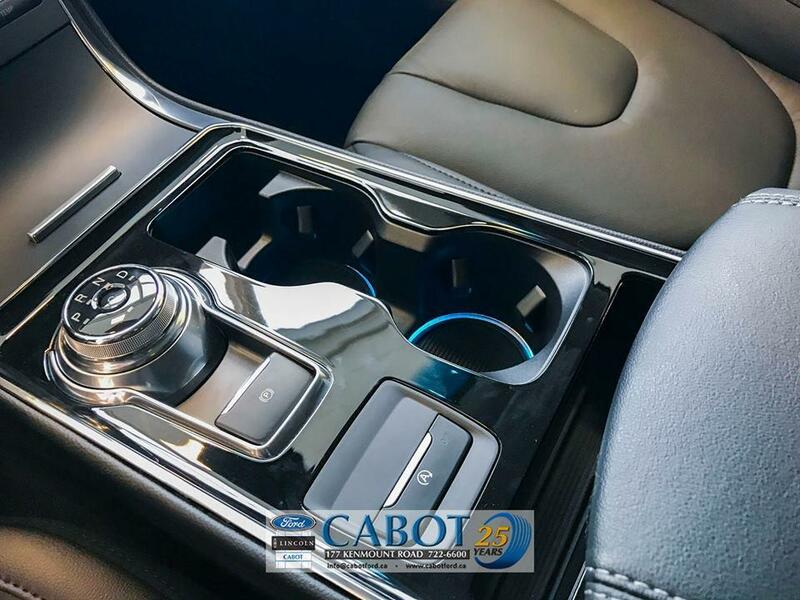 The 2019 Ford Edge SE comes with a sleek rotary gear shift knob and parking brake button. 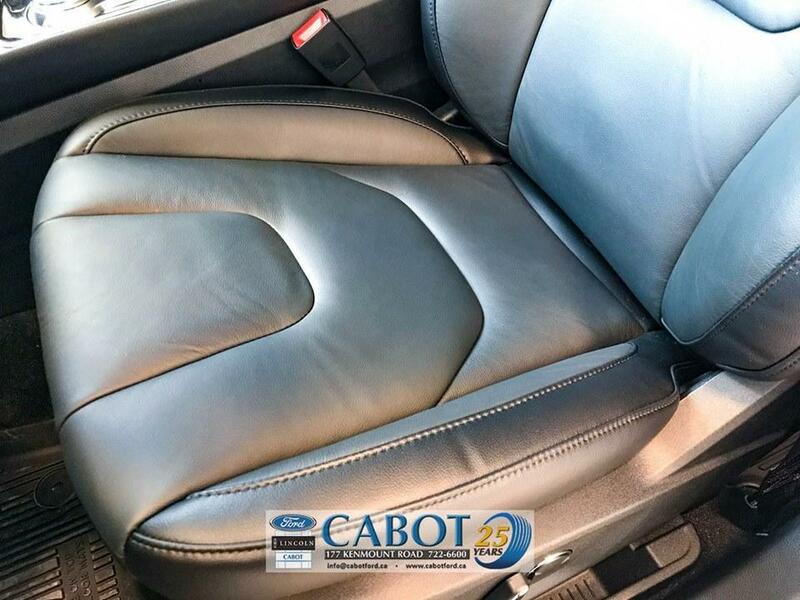 Have you heard of the ActiveX seating option? 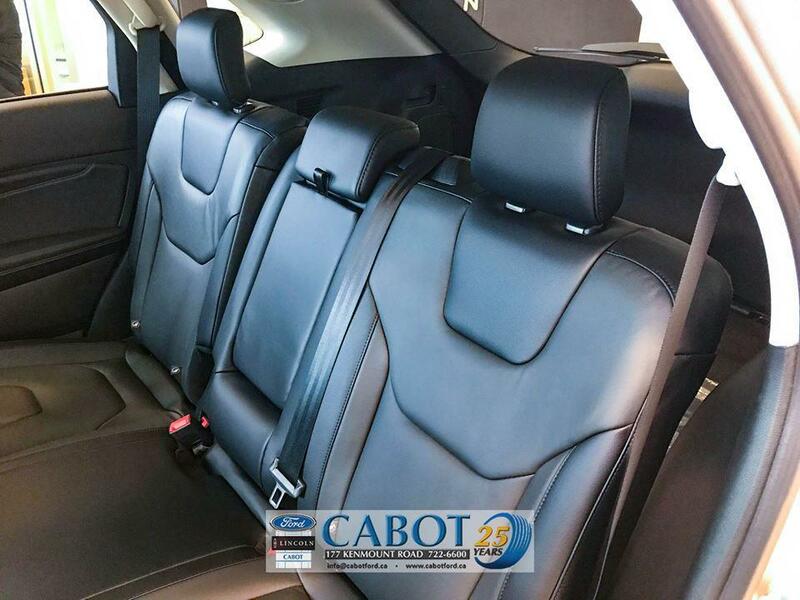 Especially if you have pets or children in your SUV, ActiveX seating is going to change your life. The ActiveX Seating is made of a material that is highly stain resistant and easy to clean. 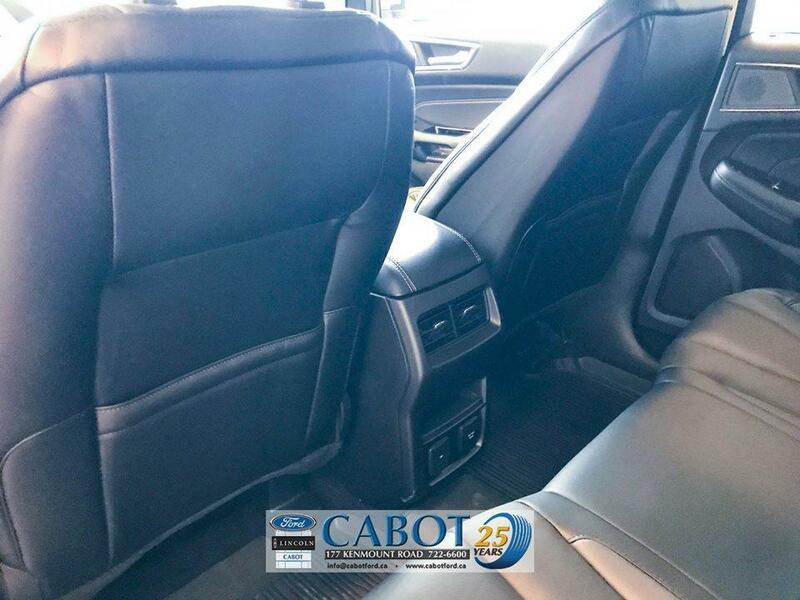 With several styles to choose from, your Ford Edge SE will look as though it is brand new, long after you've driven it off the Cabot Ford Lincoln lot. 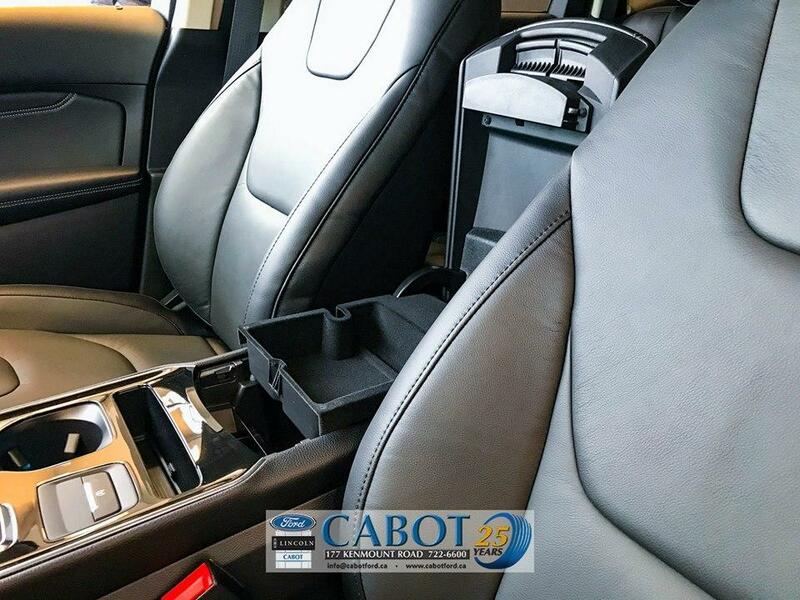 The middle console isn't just for storage- it doubles as a comfortable arm rest! Taking a road trip outside of the Avalon Peninsula? Never-ending storage options mean you have room to take everything you need, and more. Take note of the impeccable stitching in the seats! Comfortable and stylish. 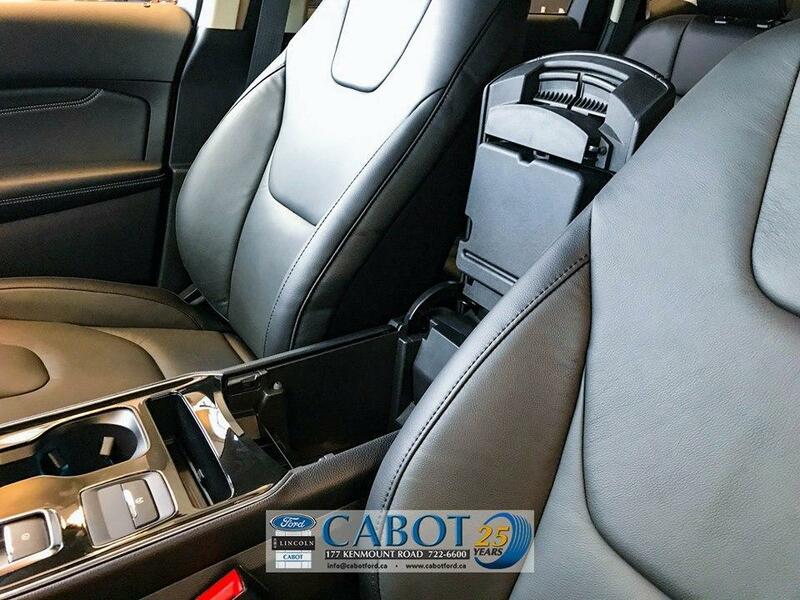 If you have this SUV in St. John's, you'll stay nice and cozy on the coldest of days with these heated seats. 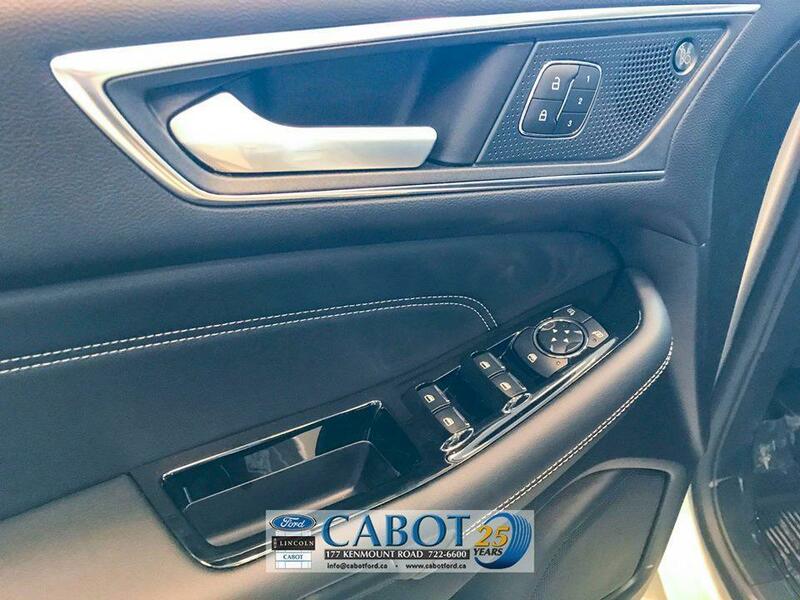 Front seats are easy to adjust in all directions, with these door-side features. 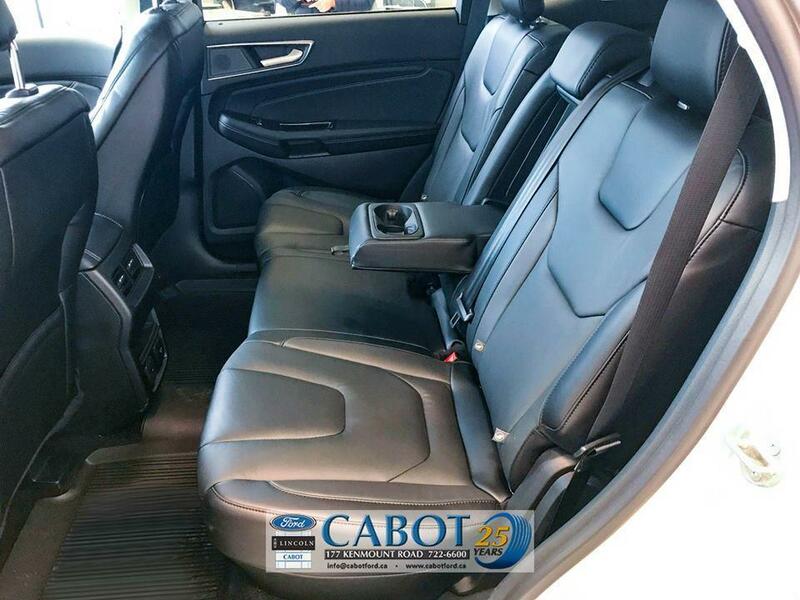 The 2019 Ford Edge SE is just as spacious, stylish and comfortable in the back. 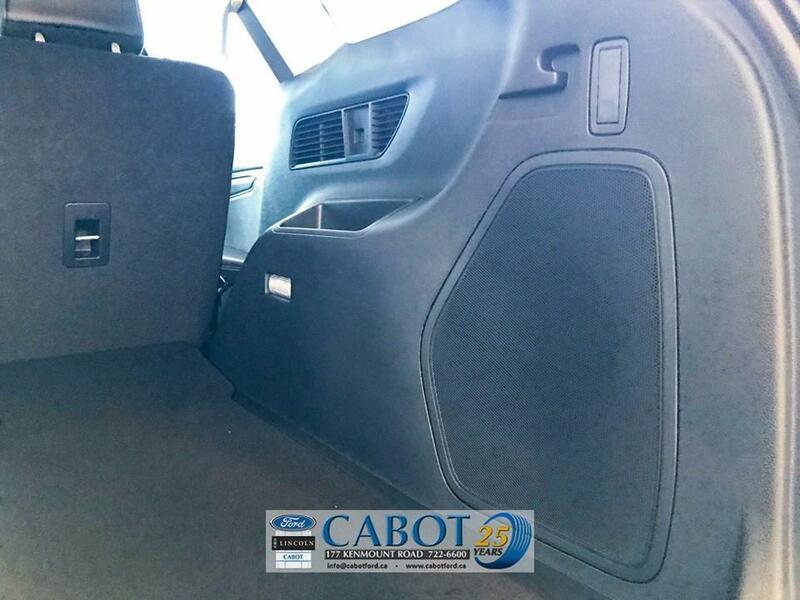 With such high quality and detailed seating, customers are pleasantly surprised by the value they get with this SUV, for the reasonable price they pay! The back of the middle seat pulls down to provide cup holders for your rear passengers. 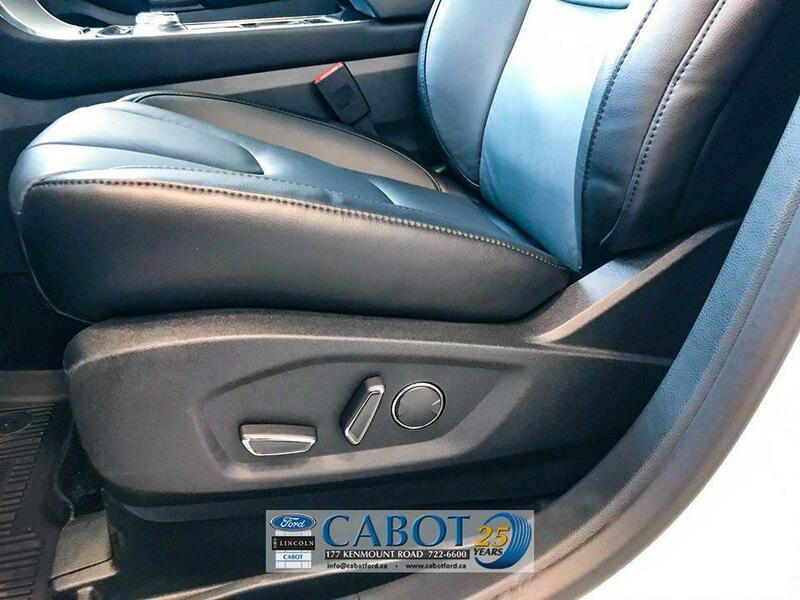 Whether you are going for a drive as far as beautiful CBS or even further, the 2019 Ford Edge SE's backseats provide air conditioning vents, storage and two 12-volt power ports to keep back-seat users comfortable. A close-up of backseat features. ﻿﻿Got a lot of camping gear﻿﻿ or looking for extra space to transport the hockey bags around? 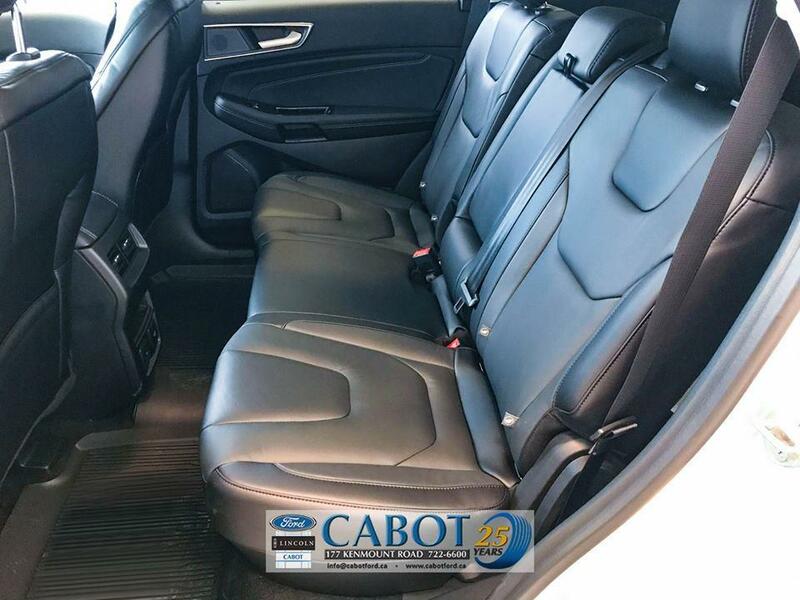 The 2019 Ford Edge SE provides the option of folding the backseats forward, for even more space. 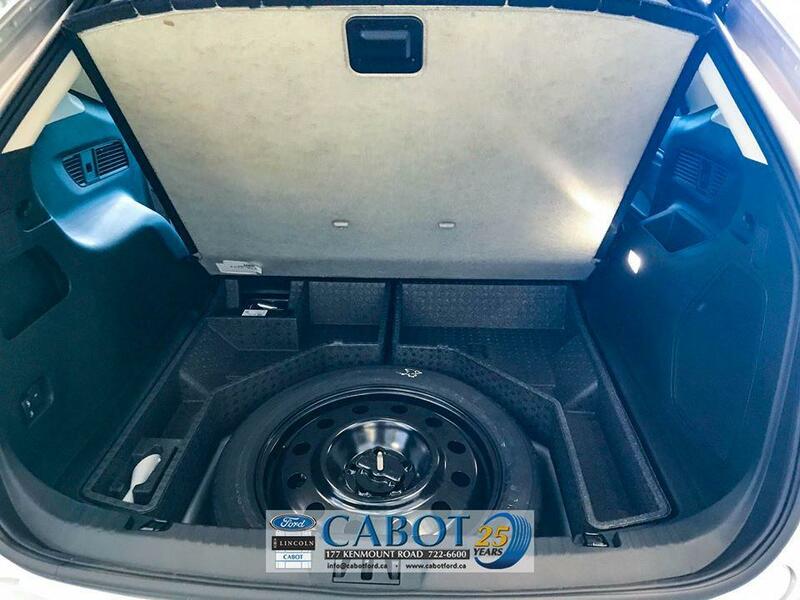 Lift the floor of the trunk to find your spare tire. 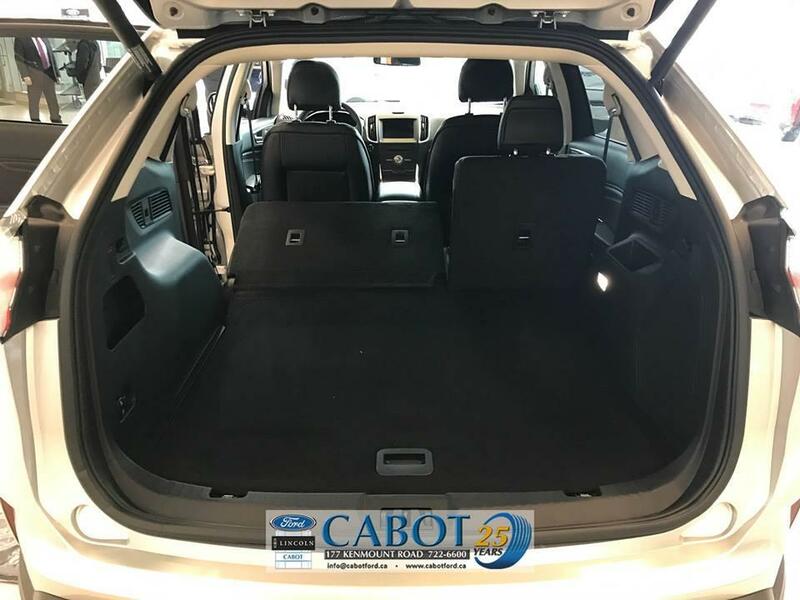 Rear speakers and a ton of space for your belongings; just imagine the adventures you could have in this 2019 Ford Edge SE! 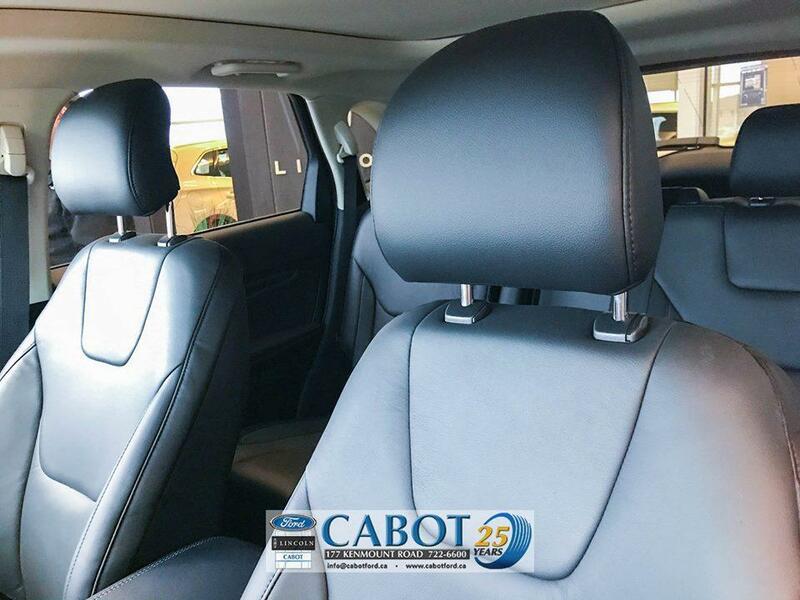 Looking to test drive one of our new SUVs in St. John's? 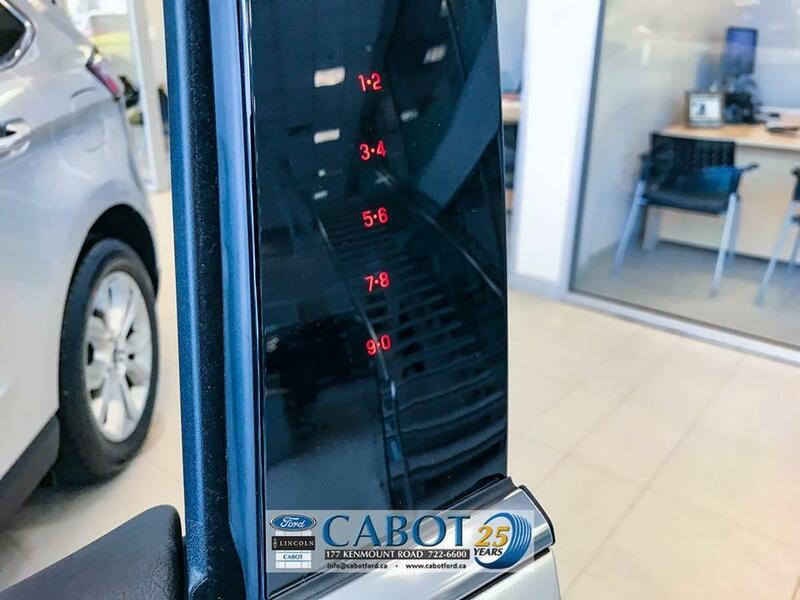 Call 722-6600 or see it up close at your authorized Ford dealership at 177 Kenmount Road today!